SINGAPORE, NOVEMBER 28, 2018 – Today, Lenovo (HKSE: 992) (ADR: LNVGY), a leading technology company, announced the latest addition to the premium ThinkPad X1 laptop portfolio. The ThinkPad X1 Extreme introduces a 15-inch form factor to the X1 series and is the first to include NVIDIA discrete graphics. The X1 Extreme is designed for advanced users and prosumers who seek a thin and light Windows 10 laptop that reflects their personality as well as high performance computing needs. It is ideal for data intensive workloads; video and photo editing; graphics rendering; and virtual and mixed reality applications. Compatible with leading headsets, users can enjoy low latency immersive experiences, making it a strong performer in multiple fields such as education, training, healthcare and modelling. NVIDIA GeForce® 1050Ti graphics let users can also sneak in time with their favorite games. The ThinkPad X1 Extreme is incredibly tough too. Four layers of reinforced carbon fiber form the top cover structure including a core layer that absorbs shocks. And with so much power on tap generating extra heat, a new aluminum alloy bottom cover keeps it running cool by dissipating the heat more efficiently. Work spaces can be anywhere from home to office, coffee shop to airplane. Weight is a critical consideration when moving between environments. Starting at just 3.76 pounds (1.7kg), the X1 Extreme is 12 percent lighter than its popular cousin, the ThinkPad T580, however users do not want to compromise on performance to get a thin and light package. The combination of 8th generation Intel® CoreTM processors, including the six-core Intel® CoreTM i9 coming soon1, up to 64GB of memory and dual PCIe SSD storage option with Raid 0/1 capability brings the highest performance ever seen on a X1 Series. Productivity and collaboration are enhanced with far field microphones and Dolby AudioTM Premium for the best conferencing experiences and up to 15 hours of battery life mean users can work and play for longer. Rapid Charge will then fuel the X1 Extreme up to 80% in just 60 minutes for more work or play time. We also maintain the great ThinkPad Keyboard experience with industry leading key travel of 1.8mm within this device class. 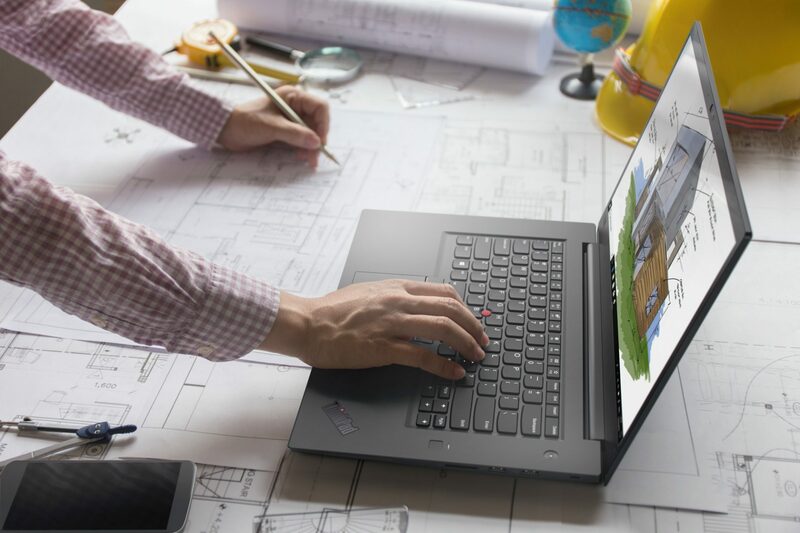 The ThinkPad X1 Extreme design incorporates user demands for greater transparency and integration between personal technology use and that required for work. Touch screen capability brings smartphone-like control and smarter voice control features with Cortana and Amazon Alexa offer a new dimension to PC interaction. Casual gamers will relish the recipe of a stunning 15.6-inch UHD display, a whole new world of sound with Dolby Atmos® through supported headphones and smoother gameplay with the NVIDIA GeForce® 1050Ti MaxQ discrete graphics. What’s more, that stunning display includes support for Dolby VisionTM HDR enabled content allowing users to relax in front of their favorite show or movie from their chosen streaming provider. The new X1 Extreme isn’t just a high-performance workhorse, it transcends the gap between work and play and offers prosumers a smart laptop that delivers on all fronts. The ThinkPad X1 Extreme will be available from November 27, starting at SGD$2,186.10. GIRLS und PANZER Dream Tank Match comes to the Nintendo Switch!